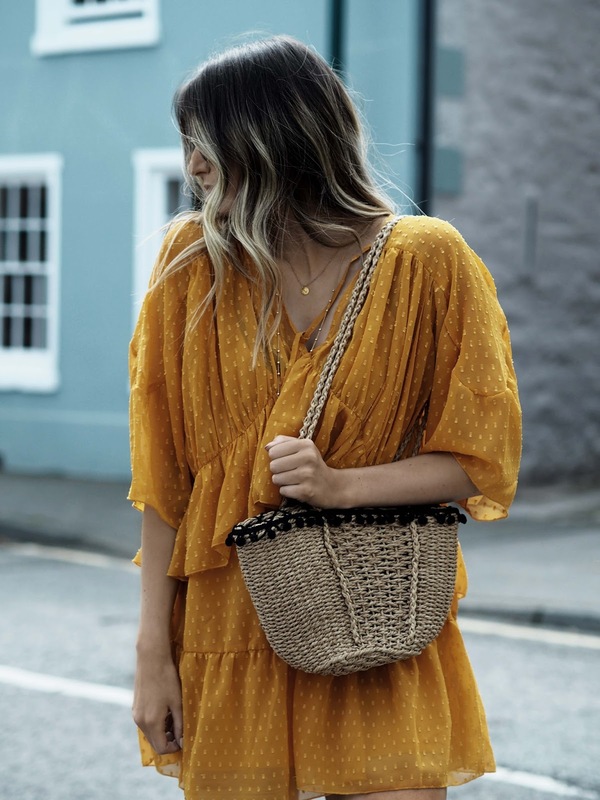 It wasn't just the colour that drew me to this dress, I really loved the little ruffle details and the boho vibes. I've already worn it to death. It comes with a little slip dress underneath to cover your modesty too, which I love because it really gripes me that so many things these days are totally see through. What's a girl gotta do to wear some clothes that don't show off ya pants (cue my previous blog post; I was already out and about by the time my mum pointed out that she could see my knickers). 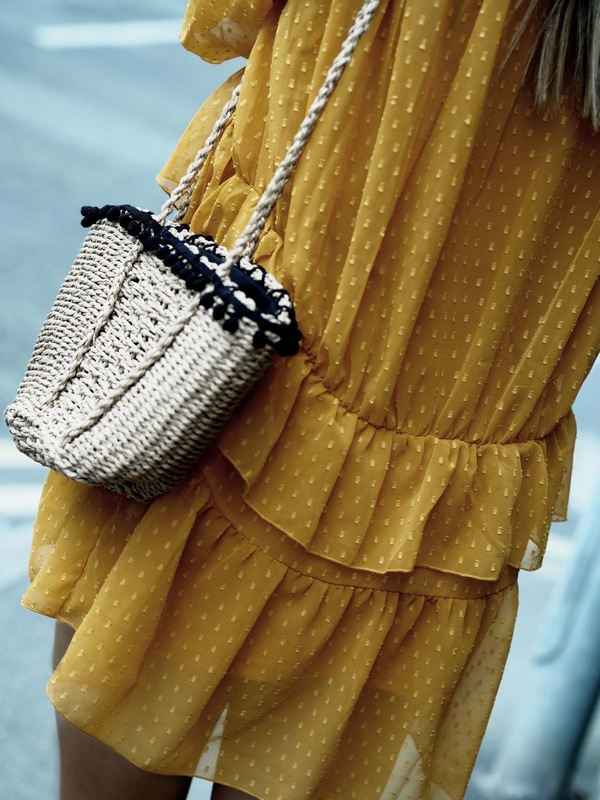 I'm also wearing this absolute bargain Zara basket bag because as we all know, these straw bags are everywhere right now and this little addition was the perfect pick at £19. It comes with a little drawstring insert as well so your things are kept all nice and safe, so it's perfect for the beach too.